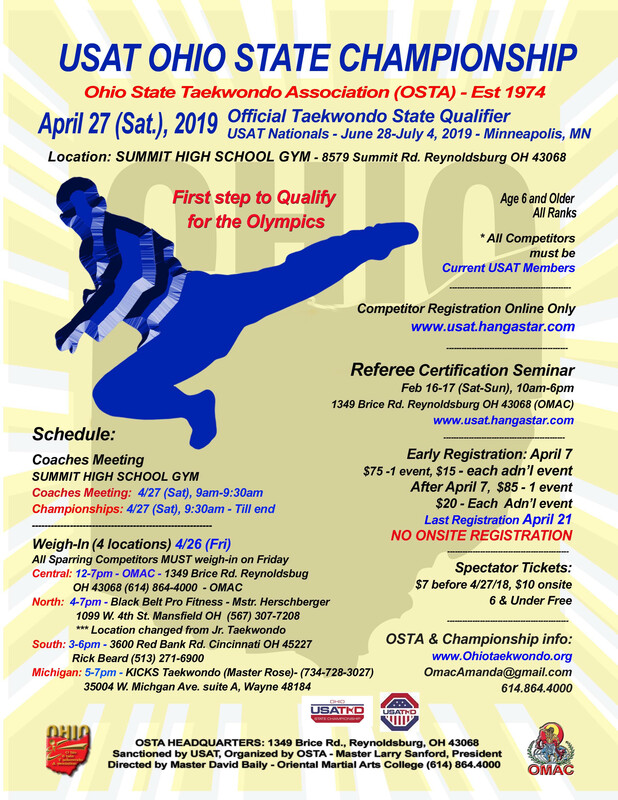 The OSTA State Championships, held annually in the spring, are a USAT sanctioned qualifier for USAT National Championship. In order to qualify for USAT Nationals, competitors must compete in a sanctioned State Championship, the National Collegiate Championships, or the prior year National Team Trials. Certain World Class Division winners from the USAT National Championship will be invited to compete at the USAT National Team Trials for a spot on one of the USAT National Teams. The USAT National Teams compete in international competitions, including the Olympics!